Almost every apartment has at leastSeveral flowerpots with flowers. And as you and I know, such indoor plants contribute not only to the more organic appearance of your apartment, but also have a positive effect on our psyche. So decorating your apartment in this way is very useful. But quite often you can see that most of the pots look pretty gray and mediocre. The fact is that beautiful ceramic pots are very expensive, while the simplest plastic or plastic products can be bought for almost nothing. 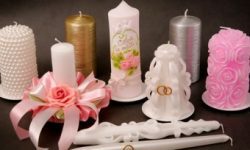 But, if you want to come home and enjoyNot only a kind of green leaves, but also beautifully decorated pots, then our article is written just for you. 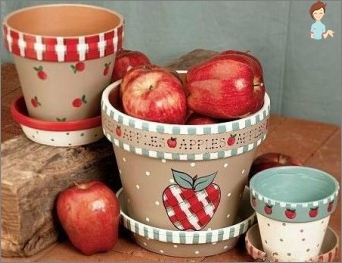 Today we will tell you how to decorate flower pots with your own hands. Before you begin to tell you howIt is possible to turn boring pots into original elements of interior at home, it is worth noting that clay products are an ideal basis for such decoration, since anything can be attached to an even, slightly rough surface. For decoration you can use any technique, for example, decoupage or krakle (decoration with the help of eggshells). The main thing is to believe in yourself and everything will be fine! In principle, the Krakla technique itself provides forThe use of special lacquer varnish, with the help of which create beautiful patterns from broken lines. But since such varnishes are quite expensive, today we will learn how to create such a pattern with the help of a conventional egg shell. Attention! In no case should you use a fresh shell, from which you just extracted the egg. Shells should be thoroughly washed, degreased with baking soda, and then thoroughly drained. And only after you make sure that no moisture or protein is left on the inner surface you can start creating a composition. By the way, if you want to create not onlyCracked pattern, but also to add some drawing or silhouette, it is possible to alternate pieces of shell of white and beige shades. To do this with your hands is very simple: you need to break the shell into small pieces. Size is determined by yourself, depending on which pattern should be obtained as a result. Because the eggshell is fairly lightShade, then the ideal base for such decoration will be a dark colored pot. If you have only light shades, then you can correct the situation with ordinary acrylic paint of dark shades. Now lubricate the surface of the pot with glue andWe put to it pieces of the shell. Attention! The shell must be carefully pressed. If you want the gap between the pieces to be slightly larger, you can gently push apart the pieces of the shell with your fingers. Then wait until the glue dries a little and covers the entire surface with dark ink. After it is dried to the glue, we erase its extra paint from the shells themselves. Thus, mascara remains only between the pieces of your mosaic, creating a stunning pattern. And of course, the shells themselves, without which all our work would lose its meaning. The mechanism for creating such a decorative flowerpotRather simple. You need to paint it in white. After the paint has dried, we grease that part of the surface where our shells will be placed with tile adhesive. Now let's consider what needs to be done withSeashells so that they are well adhered. First of all, you should wash and dry them. In the process of gluing it is necessary to strongly press each shell into the tile glue. If you decide to use not only flat, butAnd hollow shells, then before attaching them to the pot, be sure to apply an additional portion of glue to the inside. So there will be practically no air between the shell and glue, and, therefore, this shell will last much longer. After you finish sticking, youNotice that in some places the glue is squeezed out from under the shells and now spoils the whole look. In order to correct the situation, take a piece of sponge or damp cloth and carefully wipe the surface of the flowerpot. 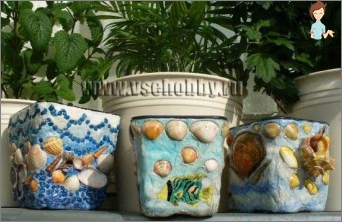 Thus, you can smooth the edges and make for your flowerpot more refined decor. One more thing: If you do not like the empty space between the shells, then you can fill it with conventional cereals. To do this, you just need to gently press it into the already smoothed glue and leave to dry. 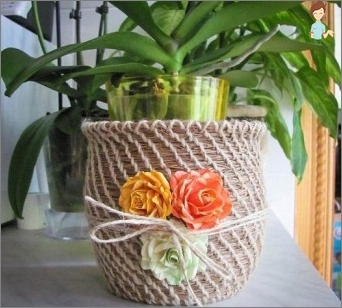 In order to decorate a flower pot beautifully,You can use cloth. And it's quite easy to do this. To do this you will need a cloth, glue and a ceramic pot. Peel the top layer of the coating on the flowerpot with sandpaper. Then gradually cover the surface of the vase with glue and press the fabric. In this case, try not to create wrinkles, because they will significantly spoil the appearance. And if you have time, then you can sewA few flowers and paste on the fabric from above. As the middle of the flower, you can use large beads or buttons. And in general, include your imagination and we are sure that you have very lovely and cheerful flowerpots. By the same principle, you can decorate pots of flowers with paper. 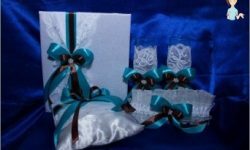 A special case is the decoration with lace. 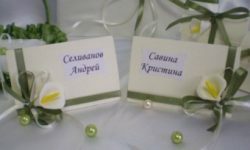 Here we can use lace and as an additional part of the decor, and as an independent element. But at the same time you should take into account the fact thatBefore you glue the lace, you need to carefully handle the edges, since no superglue will save you from the gradual dissolution of the fabric. So you should be careful. And do everything on conscience. If you want to decorate a plastic flower pot with a cloth, you can not glue it, but sew it with a coarse thread to the edges of the pot. But it's better to make punctures only in the top part of the pot, because if you make one or two punctures below, each watering of the flowers will end with the collection of water from the floor or stand. As you can see, decorating flower pots in the homeConditions not only possible, but also necessary. So you can create in your apartment a special atmosphere of comfort, which can not but have a positive effect on your mood. Good luck!